SG Odin Belona, IPO1 and SG Vanta der Rote Krieger! Puppy Profile: These puppies will inherit beauty and health lines from Odin and Vanta. They will be suitable for show, breeding, service work and obedience and make excellent family companions. Odin is clear for degenerative myelopathy (DM clear) so the puppies will not be at risk for this disease. Dam Profile: SG Vanta der Rote Krieger is a beautiful girl with a sweet personality. Vanta loves people and loves to play. She also gets along nicely with other dogs. Vanta has a beautiful head with nice expression and beautiful black and red pigment. Vanta comes from impressive German pedigree. Her father, VA Finn fon der Piste Trophe placed 6th in the world at the 2018 BSZS show. Her mother, VA Jade der Rote Krieger was VA1 in the Croatian sieger show. 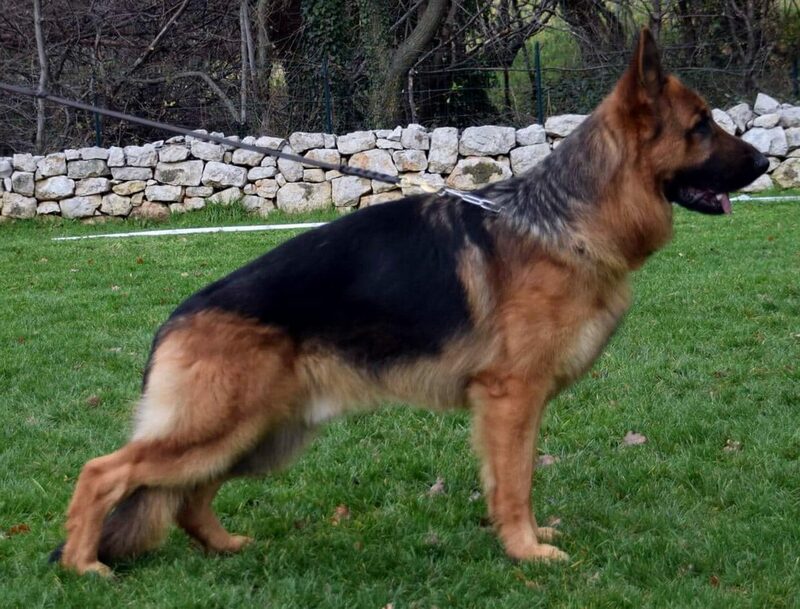 Vanta's grandparents include VA Yankee vom Feuermelder, VAHilary von der Piste Trophe and VA Dax de Intercanina. Vanta's hips/elbows are rated A1/A1, the highest European rating and she has passed her OFA cardiac clearance. 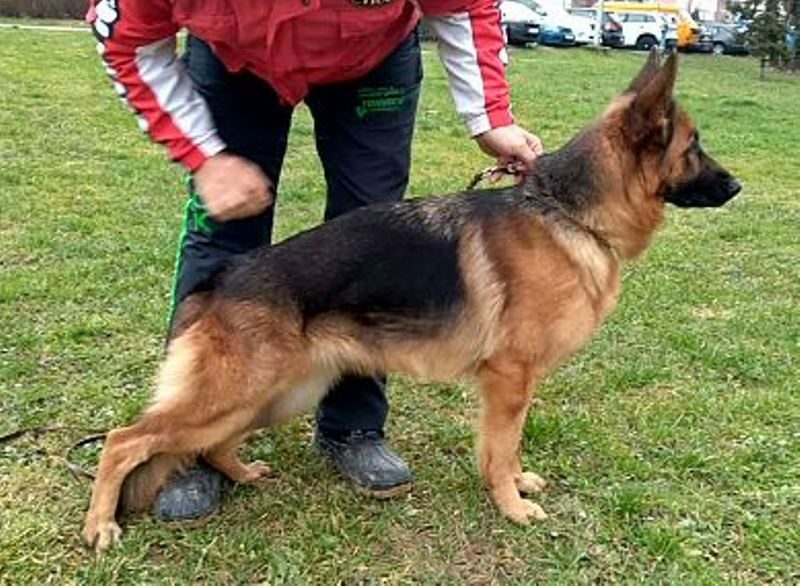 Vanta will pass long her beauty, healthy lines and excellent temperament to her puppies!